While attending the United States Air Force Academy, Martha E. McSally performed stretches and exercises to elongate her 5 foot 3 inch height. She dreamed of becoming a fighter pilot, but one barrier, which others in her position might have considered insurmountable, stood in her way. Her petite frame came up just short of the 5 foot 4 inch legal requirement for fighter pilot clearance. Despite her efforts—hanging upside down and measuring herself only in the morning—McSally managed to increase her height by only half an inch. This story is just one of many McSally’s friends and classmates tell of her time at the Academy and at Harvard Kennedy School. Without fail, friends describe her psychological and physical mettle, strength, and determination. Despite failing to meet the height requirement and suffering a hand injury that required four surgeries to heal, she ultimately convinced the Air Force she was physically qualified to become a fighter pilot, and became the first American woman to fly in combat and to command an aviation fighter squadron. McSally would go on to make good use of the master’s in Public Policy from the Kennedy School that she received in 1990, winning a seat in the U.S. House of Representatives in 2014 and becoming the first female Republican Representative from Arizona. Given McSally’s impressive list of achievements, one might expect a “stern, rough-around-the-edges, extremely stereotypical type-A person,” said John B. Ullmen, another 1990 HKS graduate who attended the Air Force Academy with McSally. However, Ullmen, along with other friends and classmates, remembers McSally as a personable, kind, and thoughtful young woman. Friends say McSally stood strongly for her convictions but did not seek the limelight, a trait that has guided her career in the armed forces and in public service. McSally demonstrated her perseverance not only in her efforts to keep her dreams of flying fighter jets alive, but also in athletic successes that made an impression on those who knew her at Harvard. Once at Harvard, McSally continued to embrace challenges. While at the Air Force Academy, McSally had seen an Ironman event on television and was immediately drawn to the intensity and difficulty of the triathlon. Although McSally was a seasoned swimmer and runner, having walked on to the swimming and cross country team at the Academy, she had no experience with cycling. McSally joined the Harvard University Cycling Association. Unlike some other members of the group, she rarely missed a practice, even in the worst Cambridge weather conditions. For McSally, the training she received at Harvard was a “game changer.” She would go on to win the military division of the Hawaii Ironman. McSally’s friends said that her athletic achievements exemplify her remarkable determination and dedication. While her classmates and friends look back and recall McSally’s displays of strength and toughness, they also remember the less showy elements of McSally’s character. “I think she kept a low-profile,” said Brian C. Ruhm, who also attended HKS and the Air Force Academy with McSally. For Ruhm, one of the most impressive parts of McSally’s HKS experience was her commitment to public service. McSally spent many weekends counseling and sharing her faith with inmates at a state penitentiary. 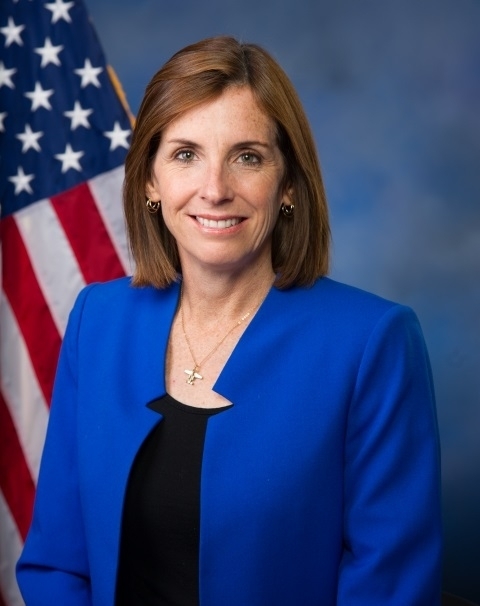 McSally was also a member of the Kennedy School Christian Fellowship. Jeffrey K. Barneson, the current president of Harvard Chaplains, attended meetings with McSally. While the future Congresswoman held views that were more conservative than her peers, she “stood up for what she believed in, would fight for the ideas, but wouldn’t necessarily draw attention to herself,” said Barneson. Since graduating from the Kennedy School, McSally has retained this inclination to voice her convictions. In 2001, she successfully sued the Department of Defense over its policy requiring servicewomen to wear body-covering abayas when traveling off base in Saudi Arabia. Despite the potential threat to her career, McSally said that she felt compelled to act on behalf of her female peers in the armed forces, given the platform she had as a lieutenant colonel in the Air Force. McSally credits much of her “foundation of being taught about what moral courage is, and what leadership really means” to her education at the Air Force Academy, as well as to the discussions she had at HKS. According to Ullmen, McSally’s conviction should not be ignored.